I am obsessed with this product. The way it makes your hair smell, makes it like you just washed your hair. I’ve gone about 4 days without washing my hair since using this product. It gives my hair great texture and volume. Obsessed with this dry shampoo! I have tried many dry shampoos and this one makes my hair feel like I just washed it! 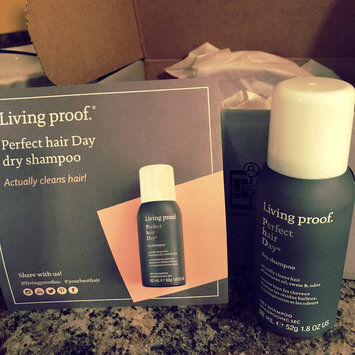 It is affordable and it's perfect for my blonde hair color! I would for sure buy again! I used this in my Mississippi roast I made in my crockpot today. Super easy. I use it when I make chicken, tacos, ANYTHING! You can make dips with it also. I am obsessed with this dry shampoo! The way it smells is amazing. It doesn't leave any residue in my hair. I've always went a couple of days without washing my hair just because it's not oily. But with this dry shampoo I keep my hair smelling good and looking clean! This color is fabulous for Fall! It's not too dark but it actually gives me enough color. The price is great and I actually wear it all year. Best Moscato!!! I love skinny girl products and the taste of this wine is so good! If you're wanting to try wine, I highly recommend this brand! It's affordable for sure! Absolutely love this color! I wear it all the time. I like more neutral colors and this one is perfect! On the days I'm on the go and need a snack, I always want skinny girl kettle corn! It is so good and is a light weight snack! Love this!! It's so good to mix and it's even better to make Jell-O shots with or just drink it by itself. Goes down so smooth and it is so delicious!